83% of adult respondents with Autism Spectrum Disorder (autism) reported no employment income in the 2012 Canadian Survey on Disability. Worktopia aims to change that. "It is a human right for all people to benefit from meaningful work. Everyone has the right to work, to free choice of employment, to just and favourable conditions of work and to protection against unemployment." Effective policy should always be informed by the reality of frontline experience. The Worktopia National Employment Network can have a role in informing policy development on a range of issues extending far beyond the actions of government. 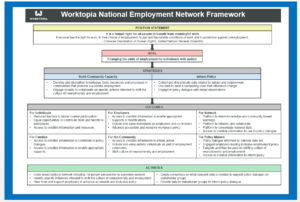 The Worktopia National Employment Network aims to develop the knowledge, tools, resources and processes needed by communities to support successful employment for individuals with autism. The Worktopia National Employment Network evolved from a national project funded in part by the Government of Canada and led by The Sinneave Family Foundation and Autism Speaks Canada. 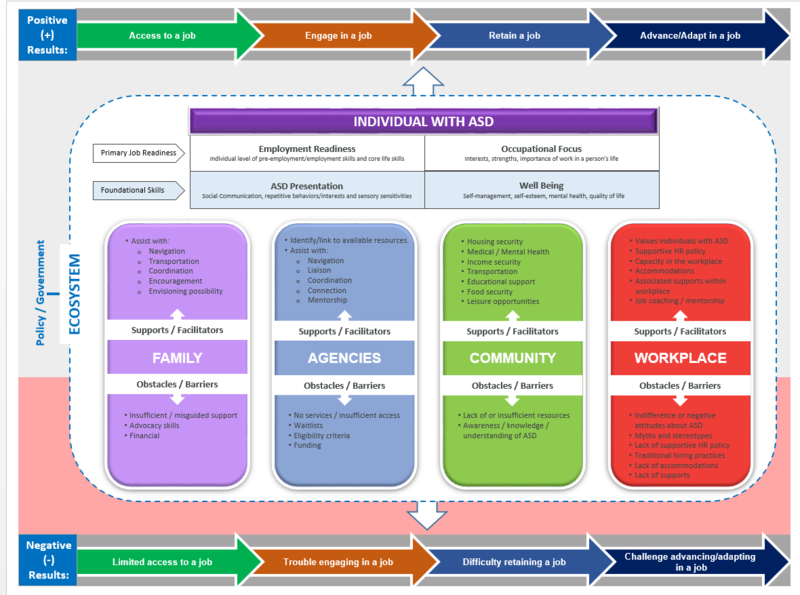 From 2015-2019, eleven leading disability organizations collectively delivered employment readiness programs for individuals with autism. Leaders from these organizations saw an opportunity to extend their work together at a community and system level and the Network was born. Great partnerships make great things happen. In the case of the Worktopia National Employment Network, The Sinneave Family Foundation and Autism Speaks Canada are standing together to support the efforts of this collaborative from coast to coast to coast.